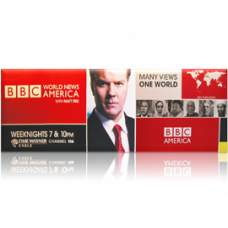 Our discount vinyl adhesive backed vinyl prints are perfect for high volume runs, short-term applications, and any clients who are on a tight budget where cost is critical. They are very durable and will last 3+ years outdoors and are printed at 300 dpi resolution in 2-color or full-color. Our discount adhesive back vinyl prints are often used when high volumes of vinyl decals are needed, to cover a fleet of vehicles for instance, or for short term applications, such as racing decals that are replaced every race. They are perfect for indoor and outdoor use and available in large format sizes up to 60"W x any length, so we're sure to have a discount adhesive backed vinyl print that's right for your next project. We will ship your premium mesh banner order in 3 business days from the time we receive your order and final print-ready design files, or proof approval if we are creating the design. Faster turn-around is available if needed, but rush fees may apply. Several shipping options from Ground to Priority Overnight are available to ensure we meet your due date. Contact us if you have any questions. If you are ready to order your Discount Adhesive Backed Vinyl Banners, please fill out our mesh banner order form or contact one of our account specialists today! Our custom premium adhesive backed vinyl prints are razor sharp and have excellent color saturation ..
Our standard adhesive backed vinyl prints are the perfect choice for vinyl decals, vehicle wraps, vi..